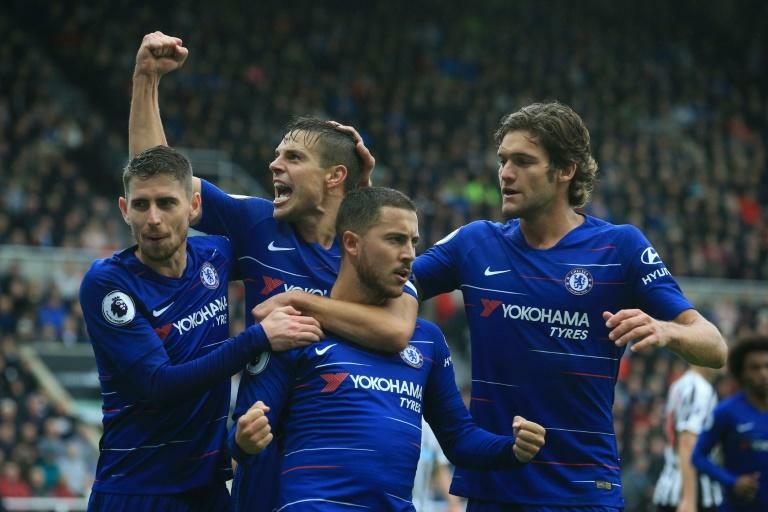 Maurizio Sarri said he was shocked by Newcastle's defensive approach as Chelsea snatched a dramatic 2-1 win at St James' Park on Sunday. Newcastle manager Rafael Benitez sent out his injury-hit team with a massed defence often featuring all 10 out-field players. The ultra-cautious approach worked for 76 minutes as frustrated Chelsea struggled to break through. Sarri was pleased with the way his players kept plugging away against such a conservative opponent. "I have never seen a Rafa Benitez side play with five defenders. I think it is very difficult to play here for every team - not only us," he said. "The match was very difficult and it was impossible to have space. We were good, better in the second half, but it was very difficult. "We were a bit unlucky when they scored to make it 1-1." Newcastle complained that Fabian Schar's tackle on Marcos Alonso shouldn't have been a penalty, but Sarri refused to comment. "I don't know I was far from the incident and I am not the referee, and I don't want to be a referee either," he said.